Platilon®U is a high-performance technical film with flexibility over a wide temperature range, extreme elongation and very high values in tear propagation strength and abrasion resistance. It stretches and has a recovery at up to 600% elongation and has a favourable strength to weight ratio. 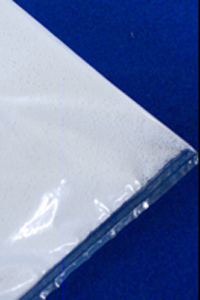 It is hypoallergenic and free of plasticisers and also has a good microbial and hydrolysis resistance for Polyether TPUs. As it adheres well to foam it makes excellent covers for foam cushions. • Oils, greases and solvents. • Abrasion and is quite elastic. • High energy radiation and chemical attack, but still remains water vapour permeable which makes it ideal as an application in radiology departments. • Many liquids while still remaining water vapour permeable.